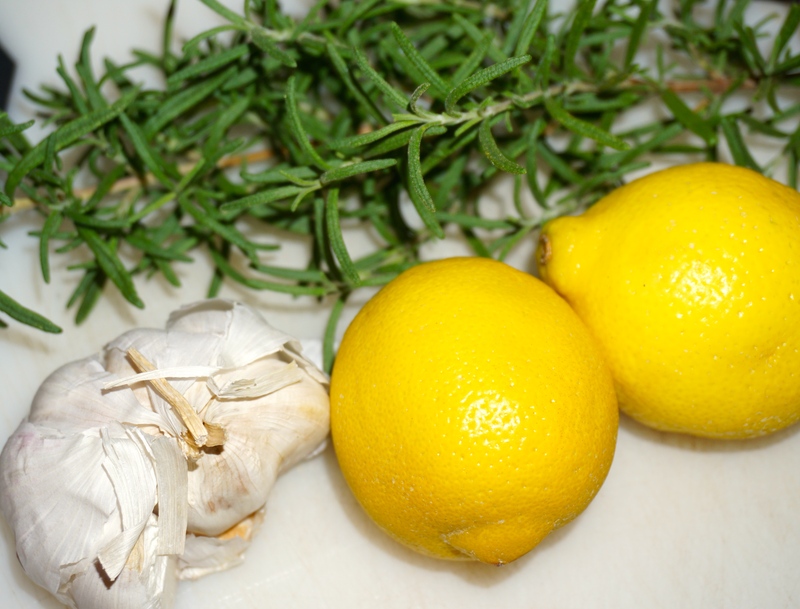 Walked by my huge fragrant Rosemary bush today and decided, whatever I make today will have to have lots of Rosemary! 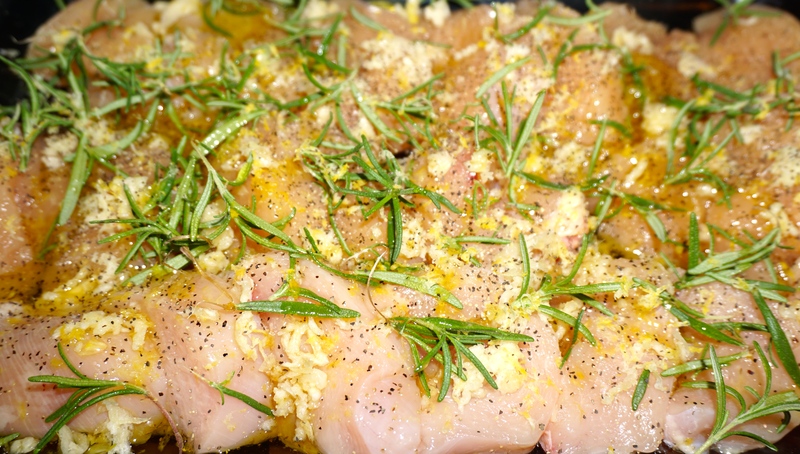 I had 3 nice fat chicken breasts in the fridge so decided that was it, tonight we are having Garlic Rosemary & Lemon Chicken! I sliced the chicken breast in big thick slices, the thicker you cut them, the juicier they stay :-). Placed my chicken in a pan. 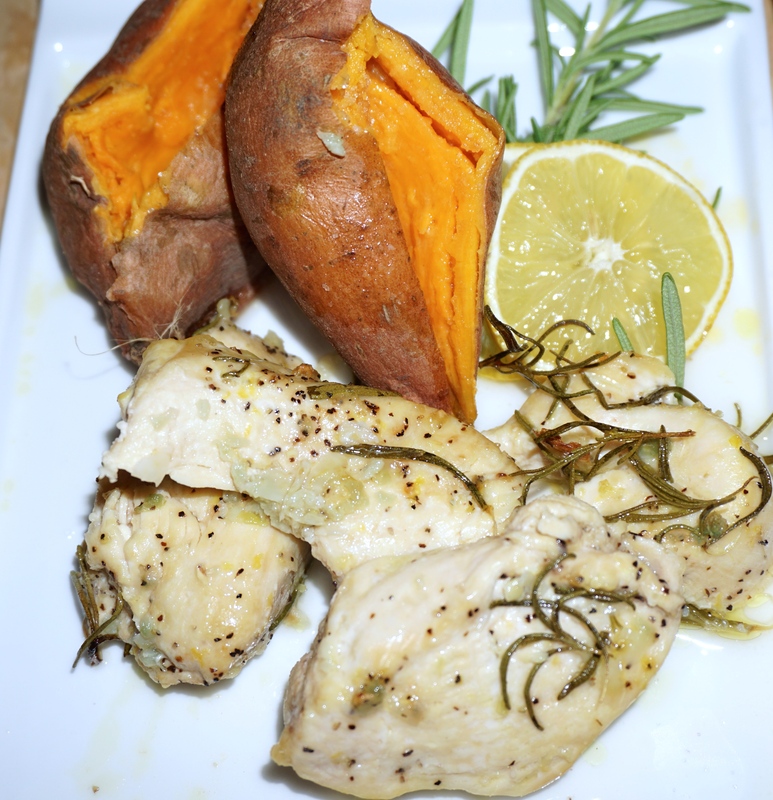 After peeling my garlic cloves, I used my handy dandy garlic press and added that to the chicken, together with a 1/4 cup of rosemary and rind of a lemon. Drizzled it with some aromatic rosemary olive oil and tossed it nicely before putting it into a 450 deg F oven for about 20 minutes. After 20 minutes, I pulled it out, gave it a nice toss, added 1/2 cup of chicken stock and juice of 1 lemon and put it back in the oven. Turned oven off and let it rest in there for another 5 minutes. PS: Next time I make this I am going to quickly sear the chicken to give it a little more color as it looked a bit anemic for my taste! Prev Lengua a la Vinagreta – Uruguayan food at its best! So very good! 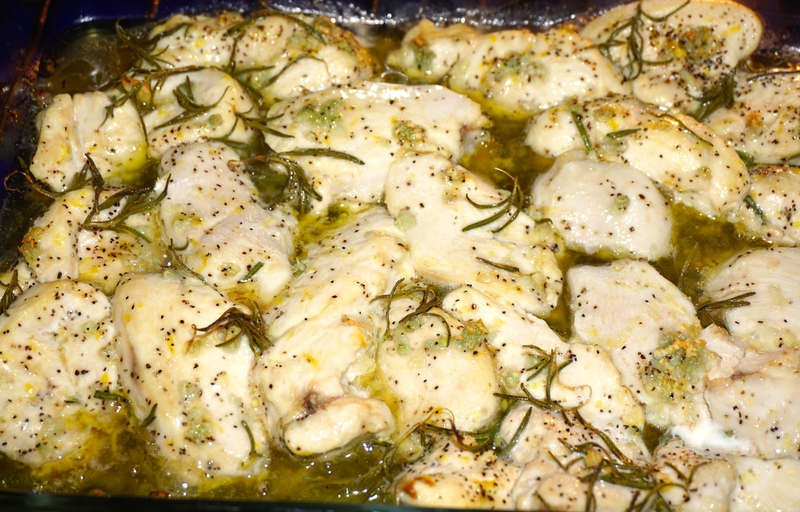 I browned them up a bit first in rosemary EVOO…then followed your recipe. This is so easy to make and has all the flavor in the world.